Formerly the Experienced Rider Course. This course is for the licensed rider and the training is a hands on class completed on your motorcycle. The course will help sharpen your skills. You will learn to improve handling and promote good riding habits as well as learning some new techniques. It’s highly recommended that you have ridden at least 2,000 miles on the bike you are bringing to the course. The course is between 6-8 hours and is held the first Wednesday of May, July and September. Payment can be made over the phone with a credit or debit card, mail a check or at the Paypal link. BRC2s are held on the first Wednesday of May, July and September. To qualify for participation in the BRC2, you must have a motorcycle endorsement on your driver’s license or temporary motorcycle permit. Riders must provide a street-legal bike that passes the rider coaches safety inspection. Students must also provide proof of insurance and proof of ownership of the motorcycle. 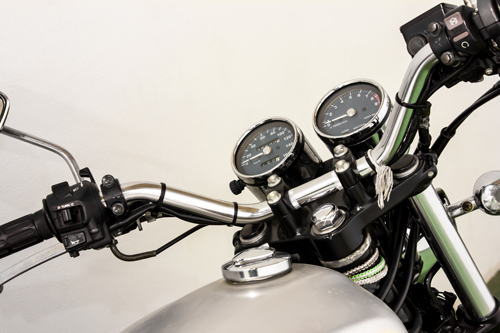 If the motorcycle is not owned by the rider, written approval from the owner to use the motorcycle in the course must be provided. There are State required minimums for number of students. If minimums are not met you will be offered the next available date that is most convenient for you.